If you believe that you have an ambivert personality, you will probably identify with the traits on this list. There is plenty or information available detailing the good and the bad sides of being either an introvert or an extrovert. But what if you don’t identify with either of these personality types? If you find you are a mixture of both traits, you probably have an ambivert personality. Our extrovert friends are all about the parties, socializing and being with people. They seem to draw energy from just being around others and never tire of it. The thing is, ambiverts feel like that too – except when we don’t. After a period of socializing ambiverts, just like introverts, need to have some time alone time to recharge our batteries. The thing that makes ambiverts different from both our introverted and extroverted friends is that sometimes we draw energy from being with others and sometimes we recharge by spending time alone – and we need both. If we have too much alone time we can get lonely, restless and drained and hanker after company once more. Having an ambivert personality can be confusing as you are never quite sure how you will feel at any given time. The only way around this is to plan a mixture of social and alone time and then adjust that schedule according to the mood of the day. An ambivert personality gets along so well with both introverts and extroverts that we have no trouble making friends. The thing is, we can relate to both ways of being and are happy with our sociable friends and completely understanding of introverts need for time alone. The downside of this is that we often don’t receive quite the same understanding back. Our extroverted friends just don’t understand that yesterday we were the life and soul of the party and now we just want to be alone – and some of them can take the apparent change in behavior personally. In the same way, the introverted friend who enjoys quite a time with their ambivert friend can’t understand how he likes to party so much. When we are surrounded by friends, us ambiverts can be very talkative, loud and outgoing. However, ambiverts often find it difficult to show this extroverted side when they are with people they know less well. 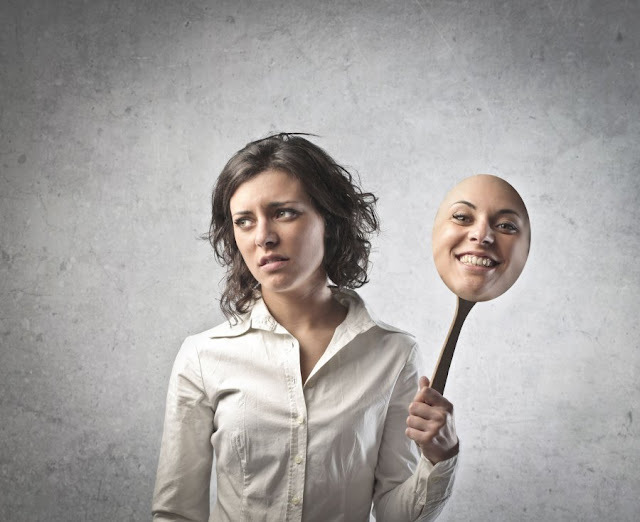 We can be shy and nervous around people we don’t know well.People can be confused by this apparent change in personality and may think there is something wrong. Because there are two sides to our personality, we can have clear spikes and lulls in our activity levels. Some of our weeks may be full of activity, meet-ups, phone calls, messages and nights out. But then there is a lull, a few days when we just want to stay home alone and work on a project, watch TV or read. We find it hard to interact with others at times like this and friends may wonder why we don’t take their calls, answer their messages or say yes to a night out. Because of these changing energy levels and different moods, we often struggle to decidewhat we really want. This can be confusing for our friends as we seem to change our minds a lot and can seem like a different person from moment to moment. It’s best to be honest with our friends and not make excuses – eventually, they will come to realize that its just the way we are and they will accept our changes in energy and mood without being hurt or frustrated by it. Ambiverts can talk about many subjects as loudly and as enthusiastically as the next person, but we hate small talk. When around people with similar interests, ambiverts can get involved in long animated discussions about the things they love. However, with people we know less well, we struggle because many conversation starters, such as talking about work, family or the weather are unbearable for ambiverts – we don’t want to skim the surface of social interactions we want to go deeper. It can be a challenge for friends to adapt to the different sides of an ambivert personality and it can be even more problematic in a relationship. Ambiverts switch between wanting nothing more than to be left alone to being desperate to socialize with others. In a romantic partnership, this can be difficult to negotiate. To potential partners, it may seem that an ambivert switches from loving and sociable to quiet and distant in the blink of an eye. Ambiverts may also want to cancel arrangements at short notice because of a change in mood. As ambiverts, we may need to come to a compromise and realize that we can’t let down our significant other just because we are not in the mood. But we must also be honest and explain that we need a balance of social and alone time in our lives.